Does Sony C510 Has native email client and does it can download emails in html format? Does C510 can automatically configure the email settings? Does the build in browser of C510 can play flash videos or Is there any flash player available for C510..? You will get all these features in Nokia C5..
dear cheers only when u have s60 mobile with 1ghz processor otherwise u open it 10 am and it open at 10 : 5 am. Hi friends, Google Maps v4 is now available for Symbian, with lots of new features. cheers!!! Niraj, 23 Apr 2010High end SE phones dont have front facing camera..dear niraj back camera can also be used for video call in sony mobile. high end mobile for richer ppls, middle class ppls more interested in both sided camera bcoz it is show off feature. Rakesh, i agree that Sony C510 is a good spec phone, but seriously it looks awful! 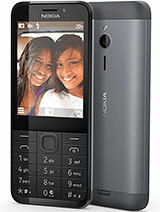 and what purpose is your argument and advocacy of a non Nokia handset serving on a Nokia page??? you are simply spamming this section with your own pro Sony arguments... your are simply wasting our precious time with these non sensical 'comparisions'... requesting to stop it NOW!!! a person who wants to buy a phone (Nokia or Sony) will consider specs or price or looks or all 3- why don't your leave it to him rather than forcing your stand on him??? rakesh, 22 Apr 2010NEWS NEWS NEWS NEWS Not for nokia lover all new comer to c5 review one thing i want to sha... moreWhatever you say, N86 has 434 mhz processer, so it was slow, while C5 have 600 mhz cpu, its speed is nearly double... Symbian supports better App compare to java phones..
rakesh, 22 Apr 2010NEWS NEWS NEWS NEWS Not for nokia lover all new comer to c5 review one thing i want to sha... moreHigh end SE phones dont have front facing camera..
Rohit, 22 Apr 2010IF micromaxx takes over samsung in india it will be the end of the world this year.Google it, and you will be able to know Micromax is planning to takeover Samsung this year in Indian mobile market..
rakesh, 22 Apr 2010dear mouse atleast ask standard que. Every device supporting flash 1 or 2 or 3 have option to ... morei don't understand what do you mean by 'standard' question. this is juss another proof that you don't 'use' an S60 based Nokia 'properly' and juss blabber about Sony C510... juss pick up any S60 based Nokia touch screen phones - do they actually have an option for this?? this fone is gonna be a success.its small with lots of features,cant wait to get my hands on it! Niraj, 22 Apr 2010In India Samsung's market share is just 8% and Micromax is in 3rd place with 6% market share..... moreIF micromaxx takes over samsung in india it will be the end of the world this year. Thanks, for the review, rakesh. Now I'm going to buy Nokia C5 for sure! one thing i want to share with u. Its time to change overself, s60 application is work properly if cpu is more than 1ghz and ram around 256mb. So nokia make us again fool. I give u one ex. If adobe CS2 software install in ur P3 computer processor it install but opening time is too large. U edit any photo but editing time too late. Sony never make us fool he knows that s60 work proper if cpu more than 1ghz. Therfore se trying his best to make cheap 1ghz cpu. When he do such that he launch cheap and fast accessing mobile. All information from sony web. Nokia c5 s60 support but cpu 600mhz. It support s60 app. But not efficently.